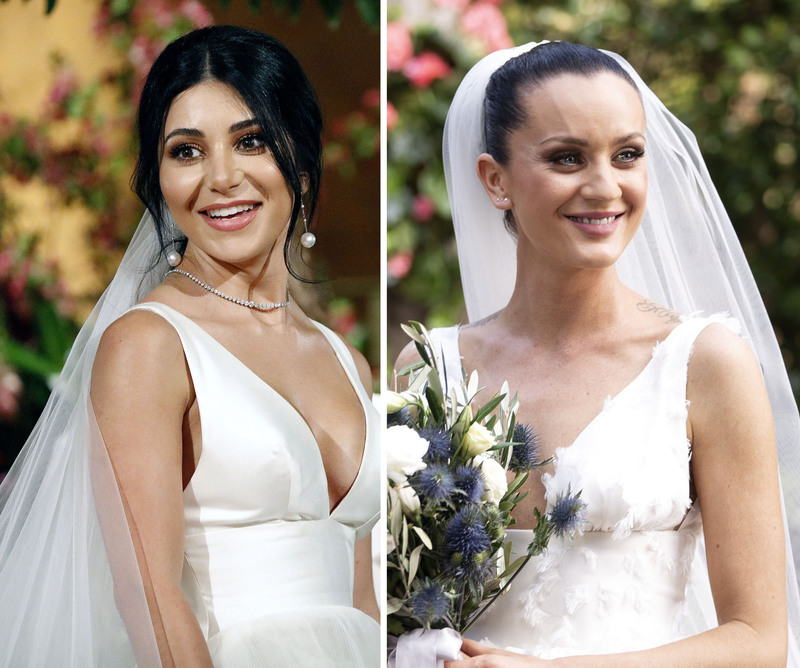 Without a doubt, Married at First Sight's Ines Basic is one of the most controversial brides we have ever seen. From her distasteful and blunt comments, to her severe dislike for her fake TV husband, Bronson Norrish – Ines is someone that Australia certainly loves to hate! But beneath her tough exterior, lies a very strong and independent woman – who has a kind heart and a passion for human rights. And there's no other bigger advocate for the 28-year-old legal secretary than her friend and MAFS co-star, Martha Kalifatidis. In an exclusive interview with Now to Love, Martha and her "husband" Michael Brunelli reveal the real side to Ines and you may be quite surprised to hear what they have to say. "Deep down in her heart of hearts, she is the sweetest, most caring and beautiful girl," Martha revealed. "She's a strong girl and she's had a really hard upbringing and that's where that exterior of being hard comes comes from, and that 'I don't care how you feel'." Of course, Martha is mostly referring to Ines' wedding and honeymoon, where her blatant disdain for her new husband caught people off guard. In fact, on Tuesday's episode – we saw an even uglier side to Ines when she blasted her husband during their honeymoon while on a boat trip on choppy waters. Bronson, finally fed up by Ines, lost his damn mind and finally called her out. "I've got to say it, as a human you are a horrible horrible person," he claps back, while we all cheered, and while Ines practically screamed at him to "Shut the f– up! Get me off the f—ing boat," he calmly replies: "I can see why you are single, ay!" This wasn't the only time we saw a horrible side to Ines. In fact, when we first met her, she truly was a…handful. But Martha believes that this is the case of a "mismatch." "Not even mismatched – they're just not right for each other,' she told us. "They want two different things. I feel like everything Bronson says, is like possibly the worst answer ever for Ines." "It's like the last thing she wants to hear coming out of a guy's mouth. And then he accidentally says it, the poor guy." "I think he was just off him very quickly," Michael agreed. "From appearance – bang, and then his past – bang." "I mean the eyebrow ring would throw any woman," Martha added. "You take every single girl from 2019 and put her at an altar and if that person has an eyebrow ring… and it's not even a cool eyebrow ring." "Let's be nice to Bronson, each to their own!" Michael said. It's very clear that Ines isn't having the best run, particularly with Aussie audiences. So how does Martha think she'll handle it all? "I feel like she'll get through it all. She's been through a lot already in her life, just like everything else, she'll get through it and she'll come out on top!" As for Michael and Martha, they have the full support of the country backing their nuptials and being such a strong pairing from the get go, it was hard for them not to compare themselves against the rest of the group. "Every time a couple came in, I was like 'Yes, yes, yes, we're cuter than that!'" Martha recalled when talking about the very first dinner party. "Are they holding hands, are they walking close to each other?" Michael added. "Do they even like each other?" "I feel like that dinner party brought us even closer together because after we left, we were like 'we really like each other', we're getting along here!" Martha said.